research, conservation, filming and education so you can be sure that we have a passion and love for these animals and their environment. 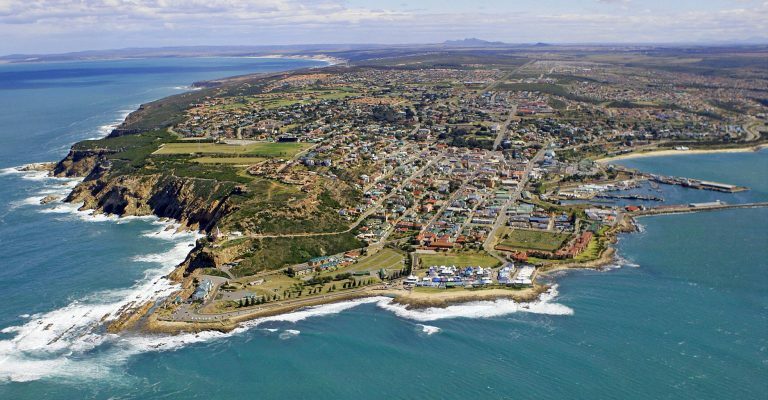 Mossel Bay is a very rich area with its abundant sea life of diverse fish, seals, whales, penguins, other sea birds, dolphins, the occasional orca and, of course, a plentiful supply of Great White Sharks. 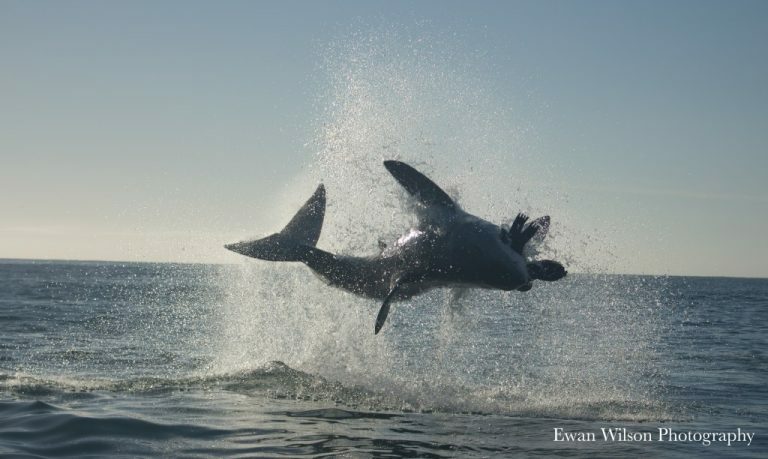 For this reason we decided to base our shark cage diving headquarters on the Garden Route of South Africa. The predominant dive spot is Shark Island. If you would like to come just that little bit closer, to experience the Great White Shark in its natural environment above or under water or perhaps just learn a bit more about them. You have come to the right place. 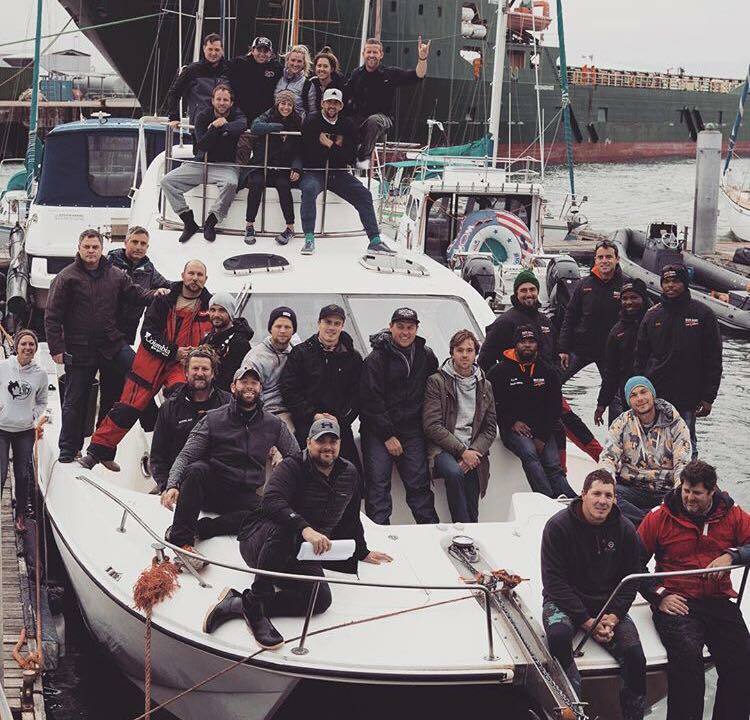 The White Shark Africa Eco Program is a Great White Shark Internship, that allows people from all walks of life with different skill sets to get involved with Shark conservation. 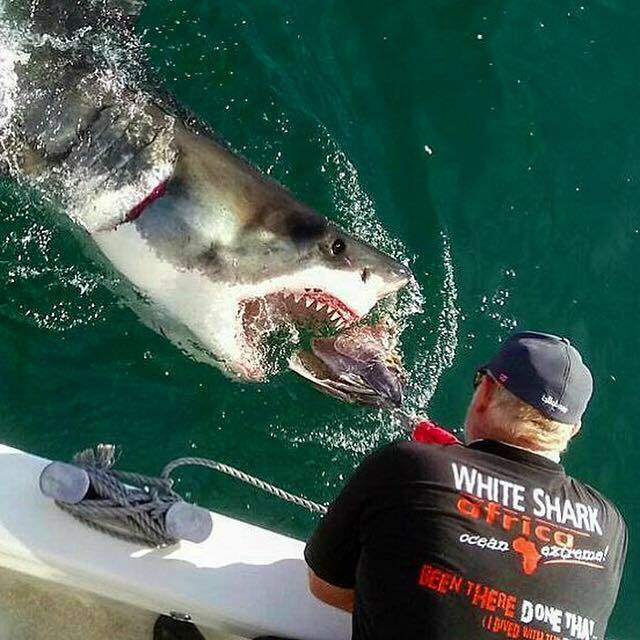 White Shark Africa was founded in 1995 and has been running successfully ever since. The company has always had a great passion and love for the sharks and has often supported and assisted shark research in the area. White Shark Africa staff have a proud history in white shark research, conservation and education so you can be sure that we have a passion and love for these animals and their environment. Situated halfway between Cape Town and Port Elizabeth, beautiful Mossel Bay has abundant sea life with diverse fish, seals, whales, penguins, other sea birds, dolphins, the occasional orca and, of course, a plentiful supply of Great White Sharks.